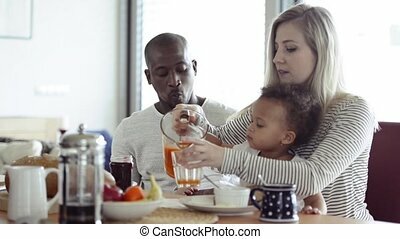 Cute family having breakfast. 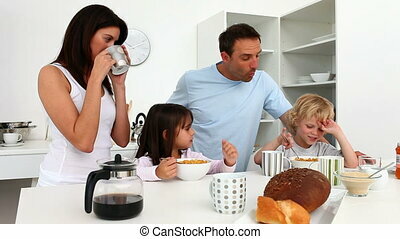 Family having breakfast together in the kitchen at home. 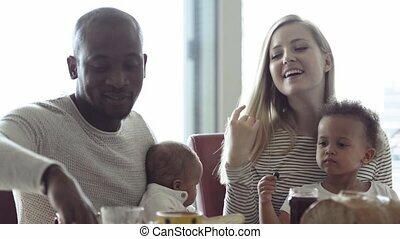 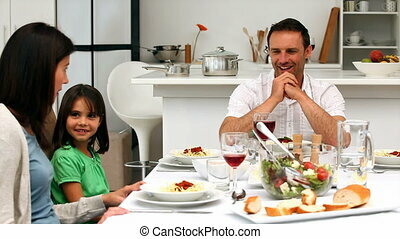 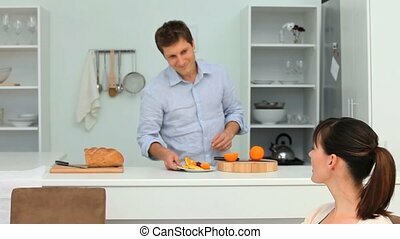 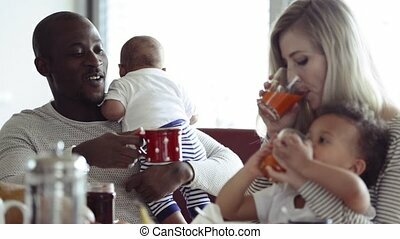 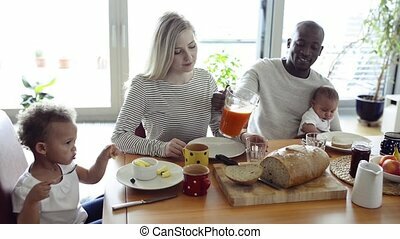 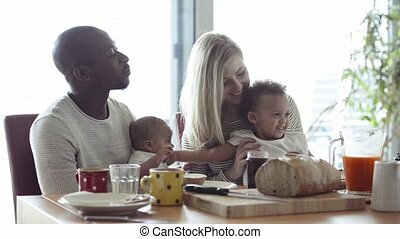 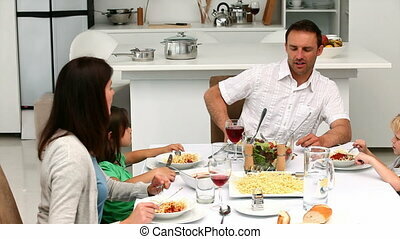 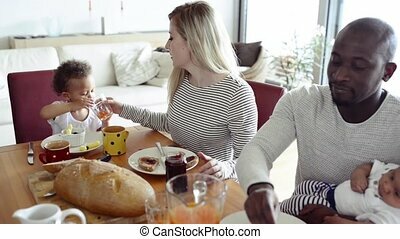 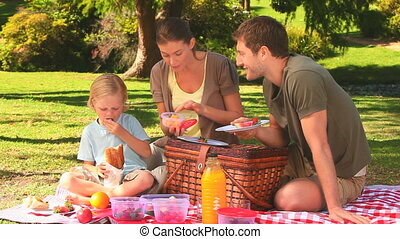 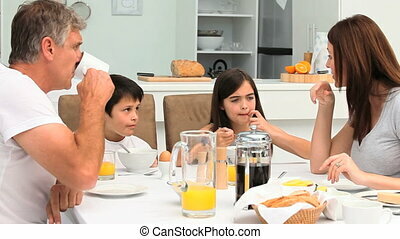 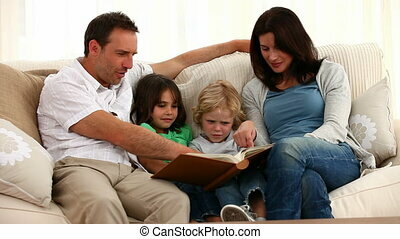 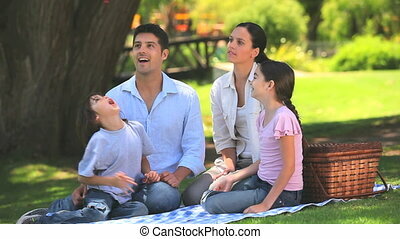 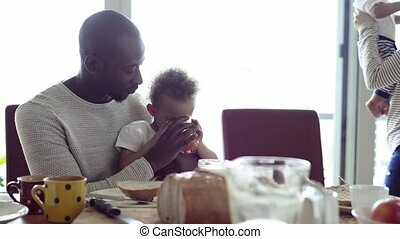 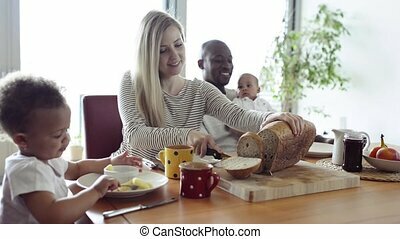 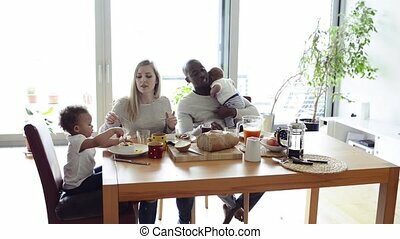 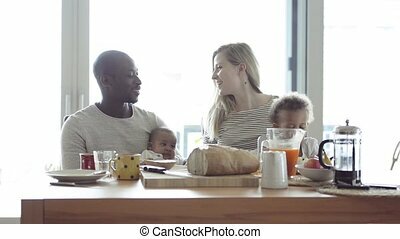 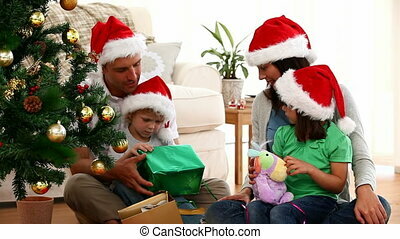 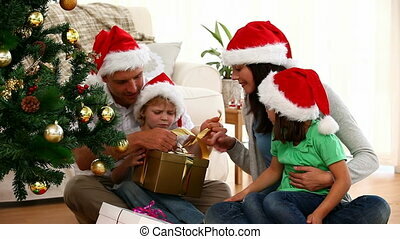 Beautiful young interracial family at home with their cute daughter and little baby son having breakfast together.